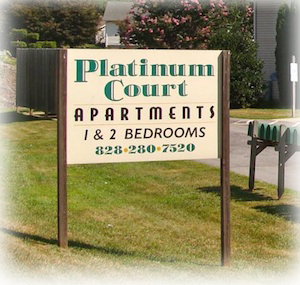 Welcome to Platinum Court Apartments in beautiful Asheville, North Carolina! Come home to quality and comfort...At Platinum Court, you have it all. Enjoy the comfort of new spacious apartment homes and the convenience of this great south Asheville location. Come join our neighboorhood. We look forward to welcoming you.